My first past life recall came in a vivid, unforgettable dream when I was nine years old. Perhaps you’ve had such a dream–vivid, detailed, visceral, as though the events were actually happening to you now. You can’t forget this dream and it remains in your memory for years. In my dream I recalled my life as an African-American male slave in colonial Virginia in the 1700s. I initially didn’t understand that I had dreamed about a past life because I had never heard of reincarnation, but I couldn’t forget it. It led me on an incredible journey that brought me so much inner peace, love, understanding, and self-acceptance that I decided to dedicate my life to helping others discover their past lives and heal the present through the past. When I went off to college, I still knew nothing about reincarnation. I had been raised in a Christian church and we held to the belief that we only lived one life. I couldn’t make sense of my strong identity with the African and African-American students on campus. I loved their culture, music and dance. I felt more African than Caucasian. Finally, in the early 1980’s, I found someone who could conduct a past life regression session and help me unravel this great attraction to my former life. As I relaxed and went back into my soul memory, I felt myself being transported on a slave ship as an infant; sleeping in a barn with the animals on the plantation; being initiated in a male puberty rite that slaves had created to sustain cultural memory; and, as a 15 year old, being sold away from my family . . . . Although some of these memories were heartbreaking, I wanted to know and understand more. 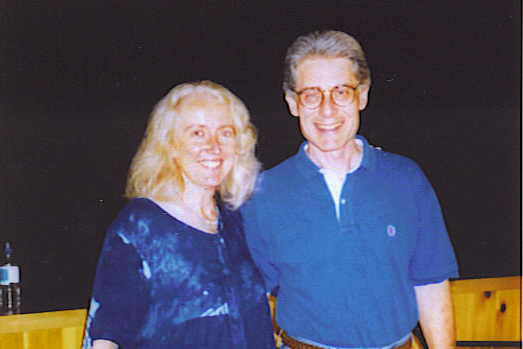 When Dr. Brian Weiss published his groundbreaking book Many Lives, Many Masters in 1988, I felt at last that I had a mentor. Everything he wrote about made so much sense and I knew I had to train with him. Amazingly, in several training sessions with Dr. Weiss and other students, I returned over and over to my slave life and recovered more memories. Once I was sold away from my family and recovered from that trauma, I realized that I could control my attitude even if I couldn’t control my external circumstances. I led a quiet, peaceful, daily life, plowing the fields, caring for farm animals, and taking pride in my work without complaint. Perhaps this attitude led to my good fortune of at last being sold to an older couple who just needed a small slave family to care for their farm. By that time I had married my soul mate, and our love sustained us as we had a son who died in a farm accident, and later had a daughter. I died peacefully in my old age. I learned so much from that lifetime. When I work with my clients, at the end of the session I ask them to review the past life and discover the lessons learned from it and how it can help them in this present life. Now I understand in this lifetime why I passionately support the Civil Rights Movement and identify with all cultures. Dr. Martin Luther King Jr. Holiday is my favorite holiday. When I have a bad attitude and act like a victim, I remember who I was as this slave named Sam, and know that I can choose how I feel and react. When we relive our past lives, we can reinforce the life lessons, take the best from them, and release any stored traumas that may limit us now. During a past life regression session one may often have a feeling that they recognize a person in that life as someone they know now. We travel in soul groups through lifetimes to help each other. I have been reunited with many loved ones from my slave lifetime: my slave wife was in this current life my soulmate and mentor Sarah Chaney Gilliam, who is also my daughter’s godmother; my slave son became my father James; my slave daughter is currently my daughter Sarah, named for her precious godmother. Several current friends were with me in that life and we have sustained the friendship to this day. I am indebted to Dr. Brian Weiss for his commitment to sharing the wonderful benefits of past life regression therapy with all of us. Since being trained and certified by him in 1998, I have been blessed to be able to assist others to heal through this highly effective technique. Have you had an unforgettable dream? Are you drawn to another place and time on Planet Earth? Do you feel an instant affinity or aversion to another but don’t know why? Do you have inexplicable phobias, anxieties, or health issues you’d like to heal from? Would you like to experience more peace, joy, and love? Do you want to understand the bigger picture of who you really are? I would love to tell you more. Please call me for a free 20 minute phone consultation to decide if it’s time to discover your past lives and heal the present through the past. Thanks for reading my blog! I want to know my past life and my past life atittude. Thanks for your post. We have many past lives, and sometimes our attitudes shift from lifetime to lifetime, too. If you’d like a free phone consultation to discover if past life regression therapy would be helpful to you, please call me. I can share my own past life experiences as well as my expertise as a past life regression therapist. I was also a slave during the 1800s. Like you, I always felt a stronger bond with blacks than with whites, and music was the first way I felt this connection. Unlike you, though, I was trying to escape from the bonds of slavery, but I got caught and beat severely. Very interesting that we share the same early experiences. Thanks for reading my blog and sharing your memories of slavery. I have guided many people in past life regression sessions through a slave lifetime. Many of us have experienced slavery in other lifetimes and have learned lessons from this experience. The more we realize that we are all ONE, the more we each can overcome cultural prejudice and oppression, the happier and safer we all will be. One step at a time, I do believe that we are in the process of creating a more peaceful world as we see how connected we all are and realize that we can no longer enslave or kill others. I hope that you are enjoying your present lifetime of freedom! I’ve been working with Tony Collins from the Sunshine Coast Queensland Australia. I have regressed to a number of three different past lives and I truly think it is the most uplifting thing a person can do. It does really help you work through issues which may be holding you back during your current life. Thanks for the wonderful affirmation of the benefits of past life regression therapy. I’m so glad you were able to find someone to work with in Australia. Past life regression therapy is amazing and highly effective. That’s why I’ve dedicated my life to helping others discover their past lives. Spread the word! It’s time for people to heal on a profound level and let their light shine! With love and gratitude to you, Julie, for doing the work. I do believe in reincarnation. There’s one dream I’ve never forgotten from years ago, of being a slave woman living in the house taking care of a little boy and girl. This was on the night we were to leave. I couldn’t leave the house without saying goodbye. I loved them so much. After my goodbye, I went to leave then remembered I needed the key to open the big door. The lady of the house then saw me. I felt so much fear in being discovered, not so much for myself but that the others will be brutally punished for my soft heart. In my dream the lady of the house was my own mother now. She helped me, she stayed silent and handed me the key. No words were spoken between us. All that passed was a look of understanding. I left and remember no more . I remember this from time to time, more remember the feelings I felt than what was really going on. This Is not an event that has overshadowed my life, just something to share. Thanks for sharing your memory of a past life, Linda. These experiences live within our soul memory and remind us that we are immortal souls travelling from lifetime to lifetime for our spiritual growth. I never really believed in reincarnation when I was younger, but the more I have read on the subject as I grow older, the more I believe I was a slave in a past life. I also believe that I learned much from this lifetime because I handle things (anger, love, etc)in life much differently (better, in my opinion) than the rest of my family. I have always felt more connected with the black community than with whites. I also cannot bear watching movies about slaves where they are being whipped. It may seem weird, but all whipping tears at my heart strings in a deeper way than anyone else that I know. I can remember a very vivid dream from when i was very young. I was a young african american slave girl, and I was running away from the my residence. I remember my ‘owner’ yelling at me to stop, and then he shot me. I was wearing a flowing, white dress like a nightgown, and when he shot me the bullet just bounced around inside it. It felt like I knew I had been killed in that life, but my dream did not allow me to endure dying. A weird dream, yes, but it felt so real. I was just a child. I have just always had this weird feeling that I have a very old soul. Thanks for sharing your past life memory, Nicole. When we are in touch with our past lives and all the emotions surrounding them, we can have more compassion in our present lifetime. Hopefully your past life as a slave will inspire you to find ways to help oppressed people now. I know that my slave lifetime has had a positive effect on my present life. Trust your memories and dreams and share with those who can understand the depth of your experience. Thanks for sharing your dreams and your intuitive feelings and being willing to post this. Have you read Brian Weiss’s book “Many Lives, Many Masters”? Reading this book might help you to decide if you want to explore your past lives and heal the present through the past. Also, you may want to find other intuitives to share your feelings with as it is normal and okay to be this sensitive but frowned upon by more rigid minded “Christians”. There are ways to shield and protect yourself when you are in public, too. Please call me if you’d like more support and a kindred spirit to talk to. I had lots of dreams when I was younger. I dreamt about war. I was very scared and always running from something. The sound of bombs. Many times this dream just braked as I would die…. Another dream which stuck in my head is big balcony with lots of flowers and view on very old but beautiful town. Sunshine and old-fashioned but elegant flat. It sounds like your dreams may be showing you past life memories. Are you interested in discovering your past lives through past life regression therapy? How can I help you? I’ve briefly explored a past life as a freed slave whose father was lynched. My grandmother was my best friend today and a huge support. Far more important to me in reconciling my approach/avoidance with the Church have been two monastic lives fraught with spiritual abuse. I’ve written a novel about them, Elmina’s Fire: A Soul Remembered which will be published through She Wries Press in June 2017. The experience has literally allowed me to reconnect to my soul. Hi Carol! I absolutely loved your article and I agree that plr can really help ppl. I’m just going through a lot of doubt right now. When I browse the internet and talk to ppl about plr and past lives, they aren’t usually receptive to the concept. Most people dismiss it or are hateful of it. I just don’t get how if this is true- I believe it’s true- why ppl won’t open their minds to it. Thanks for your comments. One thing I have learned as a past life regression therapist is not to proselytize or try to convince anyone of the concepts of reincarnation and past lives if they aren’t ready. However, there are LOTS of people who do believe, many have read Dr. Brian Weiss’s book Many Lives, Many Masters, but they don’t know who to talk to about it. They are amazed when they find a co-worker, family member or friend who has also read the book or been interested in reincarnation. You may want to create a study group in your town by posting that you are seeking others who’d like to talk about past lives and reincarnation. I hosted a study circle for nine years and people came to it throughout the county. Many of them are close friends now but had never met before they joined the group. Please call me if you’d like to brainstorm ways that you can connect to other “kindred spirits”. One of the reasons that Westerners are afraid to talk about this is because the Judeo/Christian theologies have deleted references to reincarnation in Biblical texts. For the Catholic hierarchy, this was a way to control and intimidate people into obeying church rule, introducing the concept of hell, sin and damnation and that they only had one life so they should obey the church. Fortunately, many people see through this now and are following their own hearts and inner guidance. This could be a much longer conversation. Claire, there are people out there who understand. Use your intuition and ask to be guided to other kindred spirits. I’m fascinated with your readers stories as I too have had an incredible vivid dream of being a young girl (no more than 8) who was a slave and I ran down this huge hill of the plantation through a whole in a fence to a property owned by a kind white couple who did not support slavery. Whatever my duty was on this plantation- I was very much cared for, nicely dressed, fed, I knew how to read & write & none expected me to run. I ran out of the ‘Big House’, through the fields, past all the slaves and I could see their eyes glaring at me- astonished that I would run. My heart was pounding, I could hear dogs barking and I thought they were chasing me. I was running so fast down that hill that I was almost tumbling. The couple hid me in a floor board under a rug in their living room which was actually a tunnel that had other people down there waiting. I was the only one who could read & they handed me a map & directions. I never forgot that dream it was unlike anything I’ve ever experienced- not triggered by any movie I saw or book I’ve read- I knew this girl was me, I just knew it, I could feel her spirit speaking to me. Also, I know that my husband (now) has been my husband previously. I feel like we have been together several times as many different people. I feel like he will always find me no matter who or where I am. At age 48, I finally am starting to realize that I must have been a Slave in a Past Live. There Are countless experiences that I have with people, since my childhood, that seem to be repeated experiences. Is almost as if Every Person I encounter in this lifetime is here to Submit my Will ro theirs, and it Doesn’t matter if I do as They Say or Not, that is completely irrelevant. The Point is that I always Find myself in the SAME exact Situation with people, regardless of my behaviour or attitude. I know All of that is Coming from a Past Life. I Need Help!!! I do hope that the free phone consultation that I offered to you was helpful. All potential clients are welcome to call for a free 20 minute phone consultation to discover if past life regression therapy is an effective way for you to heal the present from the past. My testimonials page and blog posts offer more insight into how past life regression therapy is helpful. I have been reading on past lives and soul mates because I know I have met mine. I know the man I am dating now was a lover in my past life and my soul mate. I felt it instantly when we met. We have only been dating for a few weeks now but I know this man has been in my life at some point. I am 11 years his senior. I feel like I’ve known him my entire life our connection is effortlessly. I laid in his arms the other night and rejoiced and cried because he is finally here! I feel it in every part of my spirit. It has open my senses up and has made everything so clear now. This is the most amazing feeling ever. I just wish I knew how, when, where we were together in our past life. Thanks for your heartwarming message. It is possible to discover past life connections to people we are bonded to in this lifetime. Past Life Regression Therapy is my specialty! If you’d like to discover how you can retrieve these memories with a certified and trained past life regression therapist, give me a call at 413-274-0286 and I’ll explain how one can have a past life regression session with a therapist by phone or in person. I look forward to hearing from you. I was so influenced by past life memories of a life as a black, blues musician who lived and died during the Depression/WW2 era that I wrote a book about my journey to travel and retrace those footsteps. That book has been published in January 2018 “Go Back Jack” and many of the songs have been recovered and re-recorded. Hard to describe the emotional impact of those memories returning – the first flood of memories came when I was 20 and I am now 65. It stays with you – life long as you go on to live this life and look forward to the next one. I am dealing with depression, anxiety and overall sporadic hopelessness. I’ve been married for 17 years and it’s very strained. I don’t know where to go from here. We have a 10 year old and a 7 year old. I am Christian an need help.